If we all moved past the basics of Christianity, what would we do next?! 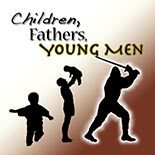 God's desire is for us to progress from children to fathers to young men, but we will always have different levels of maturity among us. However, in the Wisdom of this progression plan, we also find a road map for how to function in our relationship with Jesus and each other--even in "dinners and tapes."